Are you measuring your Business IQ? 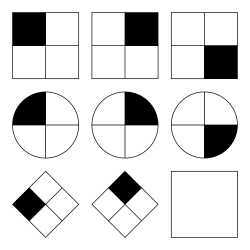 At some point in our life, most of us have been asked to take an IQ test. For people, IQ measures our ability to identify and solve various problems – language, spatial, mathematics and more. Can a business have an IQ test? Well, clearly not in the same way that a person can. For a business, I would suggest that intelligence may be linked to the ability of the business leaders o make good decisions. This ability is linked, at least in part, to the ability of to present accurate and complete information to the leaders to inform and support their decisions. For business, then, the term IQ stands for Information Quality – rather than intelligence quotient. The old adage,” garbage in, garbage out” applies even more in the time of the data driven enterprise. Do you recognize the value of trusted information for decision making?